The reasons to enroll in "Movin' On Up K9 Training" are as unique as your dog! Our first-rate curriculum is individualized for young puppies, dogs of all ages, sizes, breeds and competition levels. We teach classes ranging from puppy socialization to competition obedience, rally classes and therapy dog certification. By actively engaging your dog's mind, We aspire to transform him into the ideal family pet or highly trained competitor. My class plans are comprehensively designed. We are always educating ourselves to make the training the best that you can get. We are confident that you can build a lasting relationship with your dog to diminish behavioral problems. We will teach you the skills for a healthy lifelong bond with your dog! 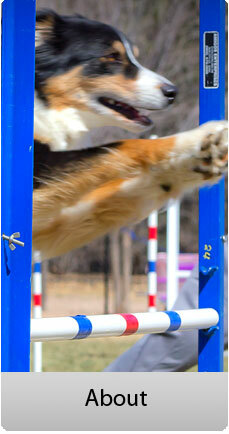 "Movin' On Up K9 Training" pride ourselves in a superior educational experience for you and your dog. Learn and train in ease at our enclosed training facility at the "Gold Country Fairgrounds plus other Locations." Come and see why breeders, veterinarians and past clients have been recommending "Movin' On Up K9 training" to their clients. Look for a Red Building this is our training facility! "Movin' On Up K9 Training"